As much as I like living a provincial life, I still can’t deny that exciting feeling that I have here in the city. There are stress, pressures, and hard times however, all those fade away after dark, where all I can see are the promising city lights that are captivating and hard to resist. 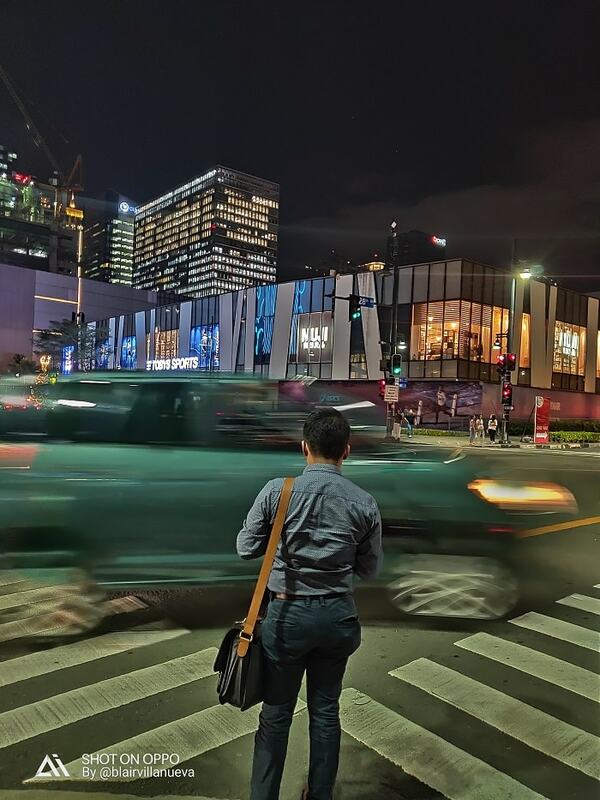 After the stressful day, I love roaming around the streets and avenues of Bonifacio Global City. This helps me to think of new content ideas for my blog and also be connected to the city. 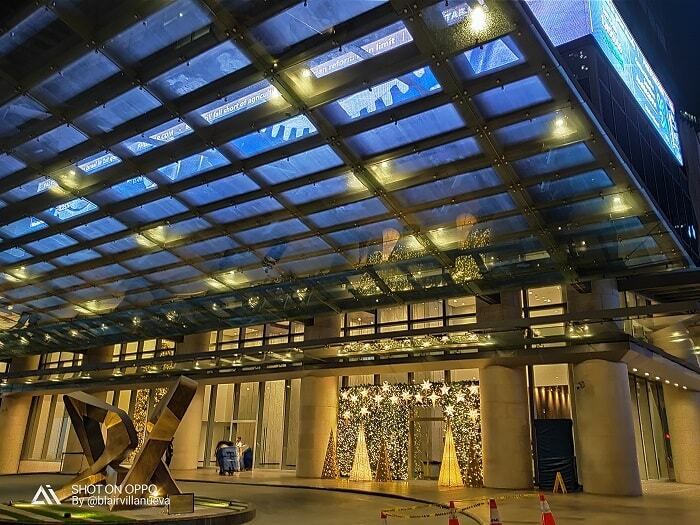 If you want to search more BONIFACIO GLOBAL CITY hotels and accommodations for your next trip, then I recommend you to visit our link here. 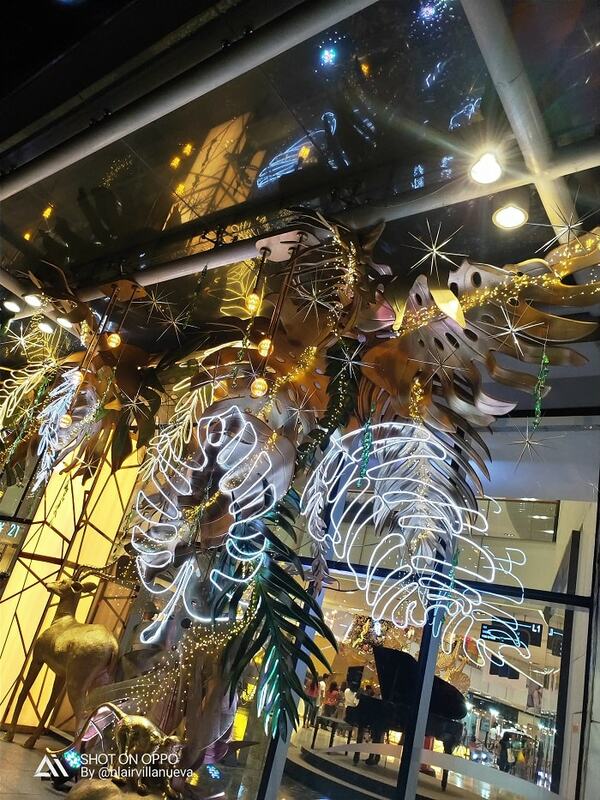 A Christmas installation located at NET PARK in 5th Avenue. 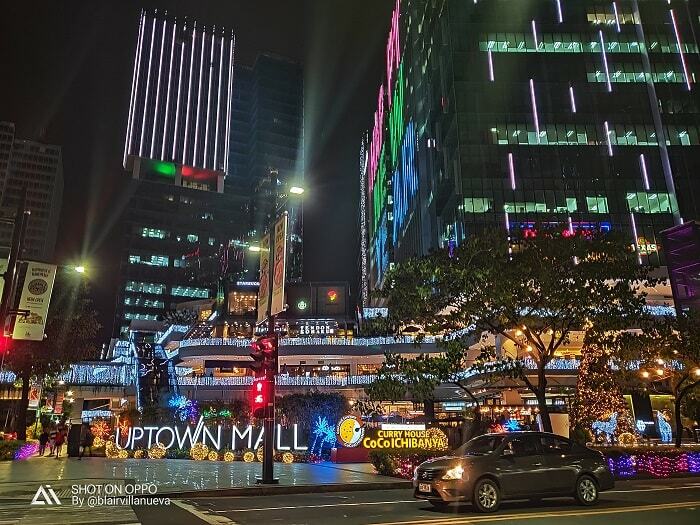 I use the new OPPO R17 for my recent photography and what I love most about this smartphone is how it gorgeously captured the night’s beauty using the Ultra Night Mode. This makes all my night photography more exciting and fun, even though I’m not a PRO. OPPO R17 captures a long exposure and process it accordingly to give better highlights and shadows in just 3-sec. This new OPPO R17 doesn’t need you to be a professional photographer in order to enjoy its amazing camera features. Seeing these photos making me realized that the city is transforming into a different world. Some people might not recognized these places because it looks very different during day time. 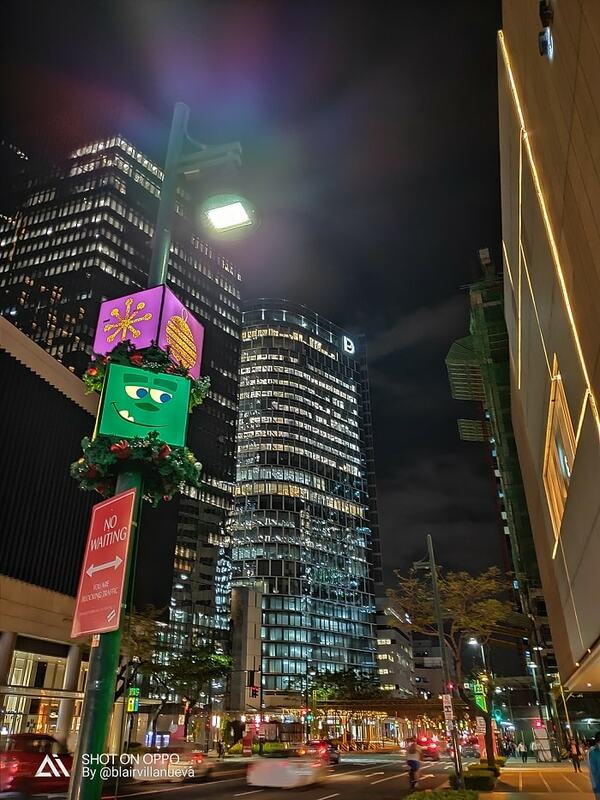 Who would believe that this city have this kind of alluring appeal at night?! I didn’t use any filter to capture these photos because it doesn’t necessary. The output per se gives you a magical shot – all you have to do is be open-minded, have patience and look up to get a perfect shot. 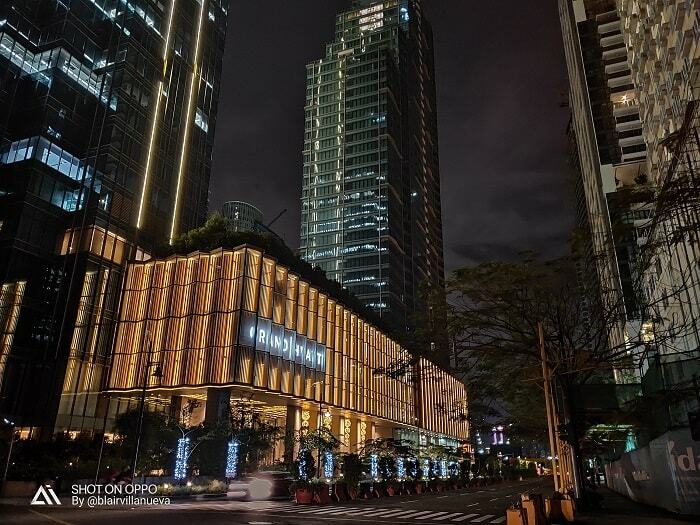 Shot located at One Bonifacio Mall, across is the Shangri-la The Fort. Another thing that I noticed about this camera is how vividly captured the images even the subject is metres away. You can clearly view the images of the people in the building when you zoom it (one of my friend even told me that OPPOR17 is a perfect camera to stalk someone on the next building), it’s crazy! This phone is a perfect companion to stalk your ultimate crush from the next building!!! 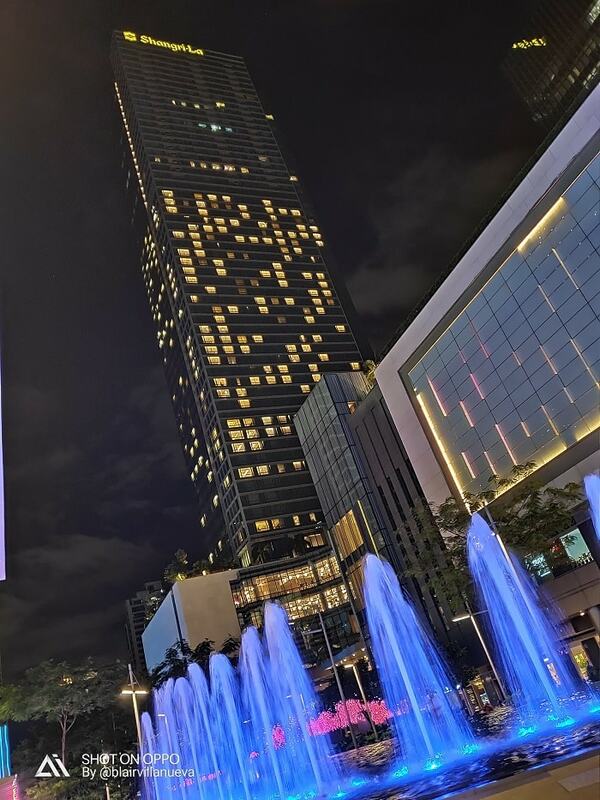 The fountain at One Bonifacio. Look how gorgeous the water movement. It perfectly captures its flow and glow! No need for additional filters – This OPPOR17 gives you the perfect night mode shot you always wanted. I’m also using the other smartphone brands, and I say that this OPPOR17 is more advanced than my other two phones. 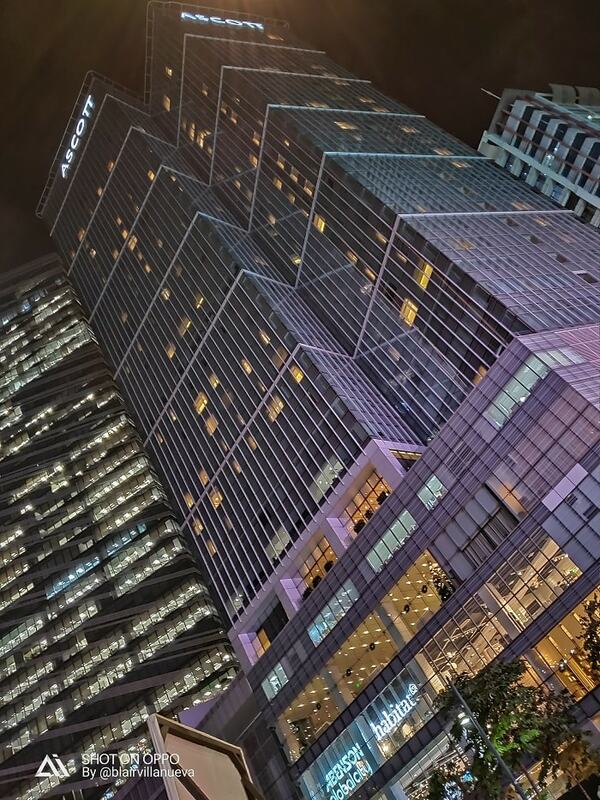 If you have passion on skyscraper photography, I recommend that you try the OPPOR17. It also captured an amazing panorama photos that isn’t pixelated and shaky, only produces smooth output. Our friends in the real estate industry will surely adore this OPPO17 to capture their newest property in the market. It gives a dramatic appeal in all their photos both day and night mode. You don’t need to bring your heavy DSLR and just switch to OPPOR17. Look at this beauty?! The sky are perfectly captured as well! The R17 Pro is borne of OPPO’s relentless drive toward smartphone innovation and unparalleled user experiences. Powered by the all-new Ultra Night Mode, the R17 Pro empowers users to seize the beauty of the night through optimized hardware and software for clarity, brilliant colors, and high image quality even in low-light conditions. 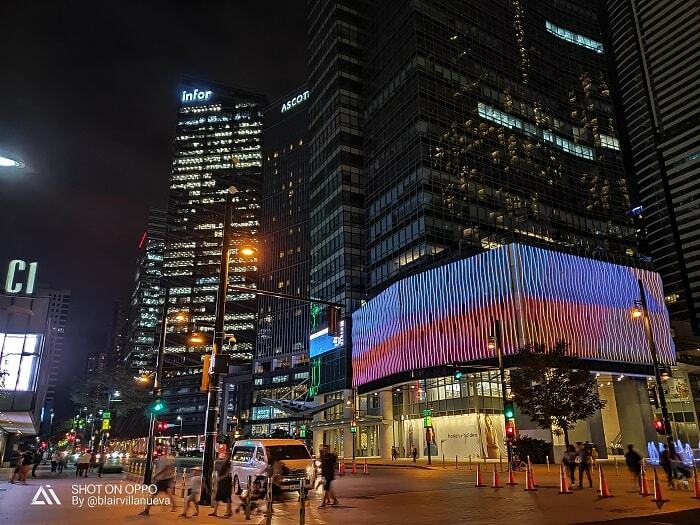 Capturing night scenes in clear, colorful detail is made possible through the variable smart apertures of f1.5 and f2.4, which automatically adjust to the ambient lighting conditions in both day and night. It also has an AI Ultra-Clear Engine, a unique technology developed by OPPO to enhance images without being hindered by hardware limitations. 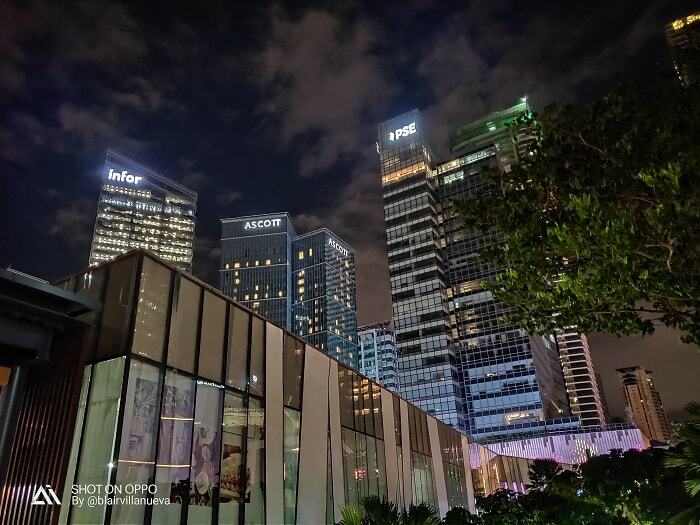 And with the Sony IMX362 as the main camera, the R17 Pro can focus accurately and quickly, and deliver brighter night shots with lower noise levels. Price: Php38,990 quite steep but you cannot give price on your passion, and happiness. Disclaimer: This is #Notsponsored post. OPPO Philippines LOANED this toy to moi. Thank you Sarah! I am truly enjoying the photos taken from the latest OPPO R17 which makes me excited each time I go out at night. The current generation of smartphones is so good for photography, I hardly ever take my DSLR out with me any more! The clarity of your night photos is particularly impressive. Especially where you have the motion from longer exposure! The photos you were able to take are stunning! It's so amazing to think that you were able to capture such vibrant pictures in the dark with a phone. It's something else to see how the big cities transform at night. It's almost like a different place! I am so impressed with your night time shots. The photos of the fountains and the water has been captured perfectly. Great photos. Definitely a great camera to be inspired by. Certainly I will think about looking at it when I next am need of a smart phone. What incredible pictures. I had to look closer because some of your pictures almost looks like some of the scenery in New York City! Great shots. I must say you are an amazing photographer! And love the night feel that you have managed to capture in all of these clicks. Oh thank you Neha! I am so happy to get this OPPO R17, it makes ma a good photographer! The photos are really perfect, transmit all the beauty of nightlife and its lights ... you have excited me! Thank you Cristina! Time to switch phone? These photos are just lovely! I love when a city decorates for Christmas. Gorgeous. I need to improve my photography! Wow, the photos are really wonderful. You've captured these places so well. Pero wah, ang mahal nga. For that price, you can already get a camera. But now that my husband has one, parang I understand the convenience talaga of a phone camera. That is true! It is more costly than my Nikon DSLR and my ASUS laptop! But wow with the output, it was worth it. Camera palang yan sis, I haven't explore the other features. But I heard this is awesome for gamers too! Truly beautiful photos! I love the contrast and color that was captured here. Coming from Europe I have never heard before of OPPO R17. Now I am wondering if it is available only on Asian market but not on European as well?! Your night photos are brilliant indeed! Actually it was already launch in France, UK and Germany. These night time photos are so clear and vivid! I love that you noted how the city looks so different in the daytime that it is almost not even recognizable. It looks like this camera is a great options for beautiful photos even by those who aren't professional. I need to get myself one of these cameras too. I can barely get good photos during the day. Those pics are amazing! Hey, you must get this! 38,990? That's almost twice the value of my Fujifilm Camera. I think it's too expensive but the quality of pictures it produce looks great. I mean if I have the money, I wouldn't think twice! You will enjoy it, especially if one of you is a gamer. I love cities with night lights and to have a camera that can capture the colours would be amazing. I live in Dubai and this is also a city with some brilliant night lights and I often feel like if I had an amazing camera for night photography, it would be great. 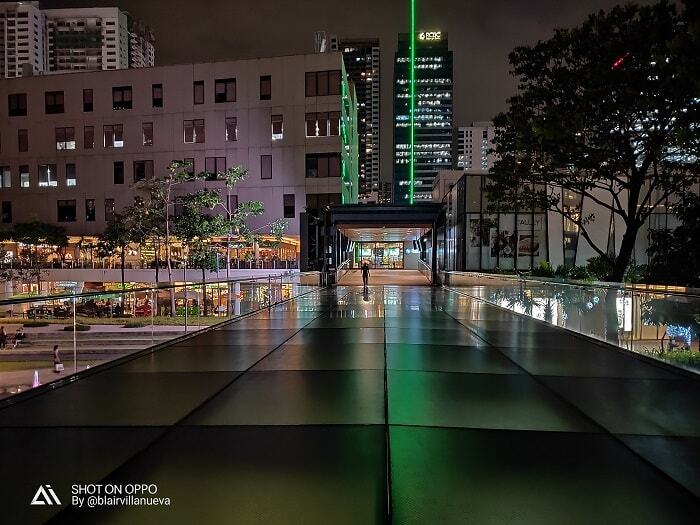 Oppo's done a great job with capturing the night sky as well! These night time photos are so clear! The price seems a bit high, there are a lot of solid professional cameras that cost less than that but the picture quality seems to be worth it. Thank you for this interesting recommendation. That's true the price is steep, but for convenience I find it good. 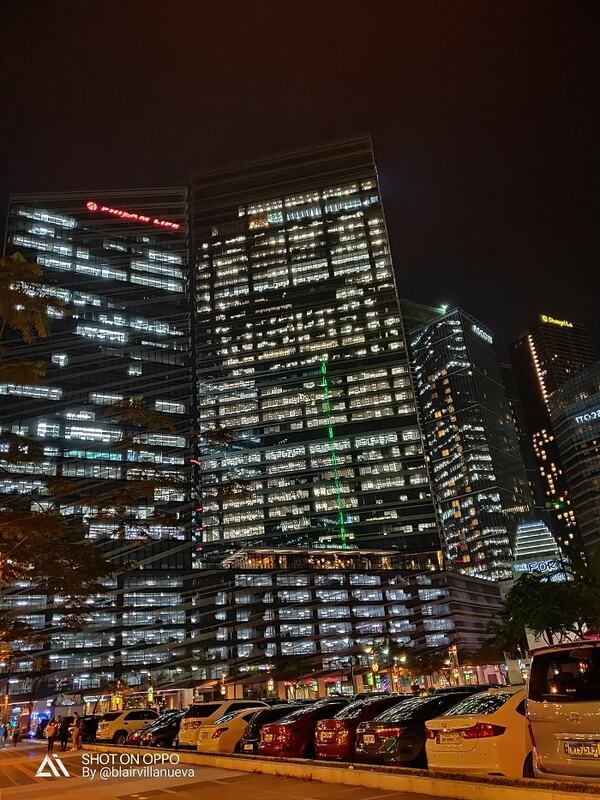 Ang ganda pala ng night shots using OPPO R17. The price is a bit steep yeah! Wait ko na lang mag depreciate. Thanks for giving me an idea about which phone to watch out for. I can totally relate. 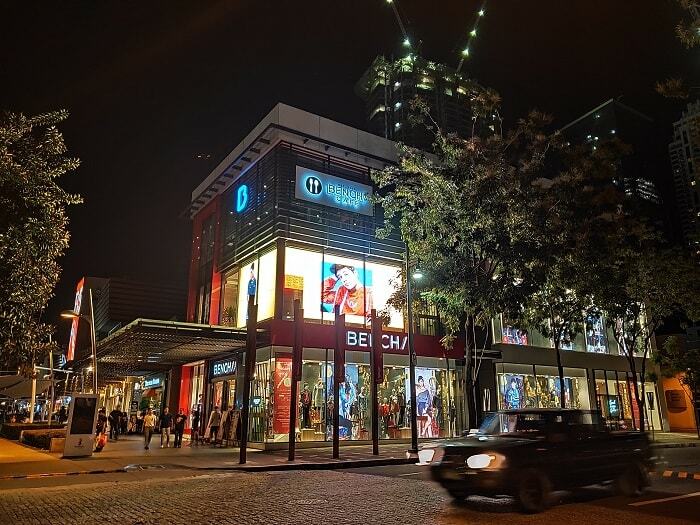 I am now based in Bacolod but can't help miss some areas in Metro Manila like BGC and Eastwood. Thank you for sharing your photos captured by your Oppo r17. They are stunning. Great night shots of the city. I would never guess that the photographs were made with something other than a SLR camera! Wow, those night time shorts are incredible! The angles and lighting make them amazing! These photos are gorgeous. You capture the lights so perfectly. I used to live in London, and the lights at Christmas were always so inspiring and beautiful. Nice ng Oppo R17 a! :) I have been eyeing this but chose Huawei instead. I believe this is cheaper pa. Pfft. Have patience, baka bumaba pa ang price!!! I like night shots of city as we can see the lights, you did a wonderful job. Love it. Wow all of those photos on a smartphone? They are beautiful and you'd think they came from a photography camera. That is true, and I just use the auto night mode feature. If I know more how to tweak it as a professional photographer, this shot would be a lot gorgeous. Thank you dear! Yeah Bonifacio Global City looks like you are not in the Philippines. Those are amazing night shots capturing the lights perfectly. I don't know if it is available in the US but if I see it, I'll have to check it out. You can always order online! Wonderful photos. I'm starting to migrate to phone photos as my DSLRs still require me to transfer the SD card to my laptop. OPPO seems to be an affordable phone and presents quality photos. Thank you. They also got a bigger memory space like 100+GB! Wow, that camera did an amazing job capturing stunning photos! Those shots are gorgeous! What wonderful photos you captured! I've never heard of this brand before, but I'll be looking out for it in the future! This phone is going global! Wow that phone is amazing. Pics looks stunning with much clarity. Hope I can get one in future. Thanks for sharing ur views. Yeah you must get it! 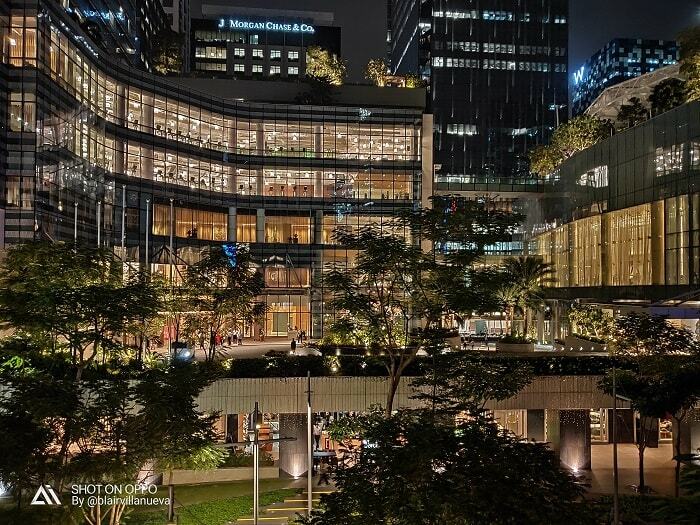 I visited BGC once last year for the concert event and the place so beautiful and perfect for night out great photos. 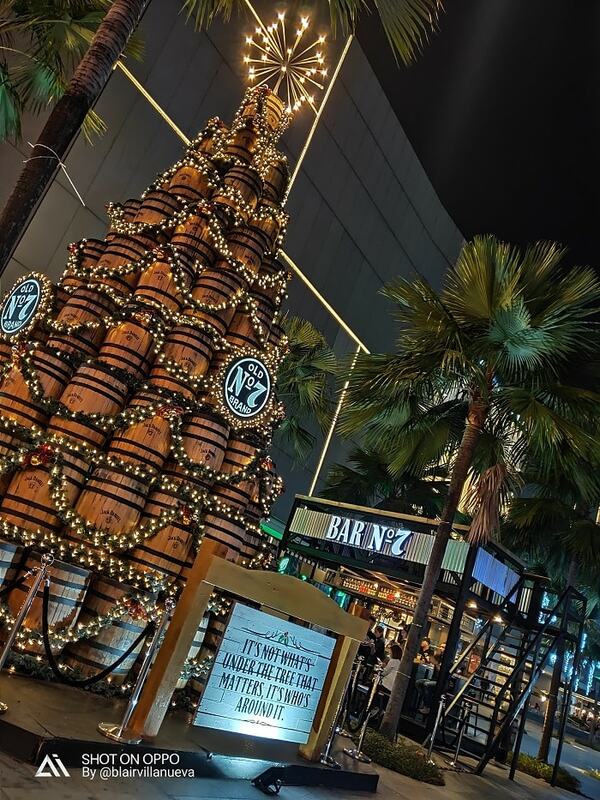 Yeah like every week there's something new in BGC! Oh I didn’t know Oppo could take pictures like this especially at night!! Loving the city lights! It was mind-blowing and makes me smile a lot! 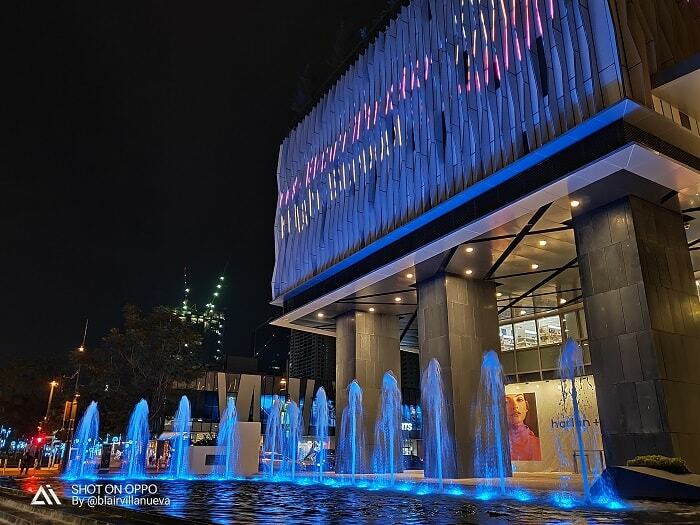 The shot at One Bonifacio Mall is so gorgeous! These were great photos and the camera is obviously working for you! These photos are awesome. It must be so fun to be in City with such a nightlife buzz - the lights are night are gorgeous! Pity I didn't include photos during daytime, it is super different (and quite boring). It sure is a beautiful city with lots to see. I had to keep reminding myself that it's not NYC even though I see similarities. Thanks for visiting! This new OPPO phone is making my blog photos awesome! Epic clicks! Super ganda. I have been to many places in Asia but I have never been to BGC, so ironic. I have been on the road for 3 years and counting and whenever I come home sa Pinas, I just rest. When I did the PH leg kasi, the whole BGC was still under construction. Thanks for sharing Blair. I love your blog! Thank you Sheena! BGC is becoming super modern day by day. 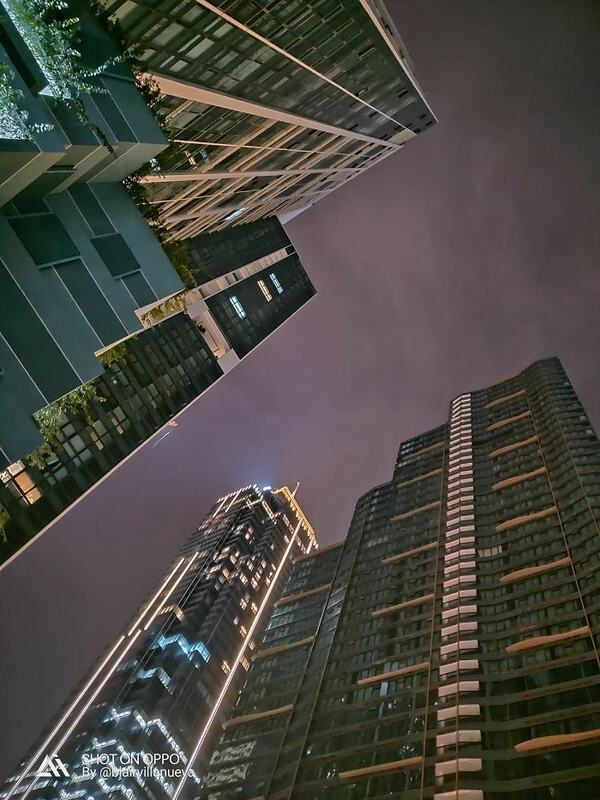 Many of my expats friends are telling me that living in BGC is like living in some western countries (but cheaper). The community makes it safe for everyone, thus many expats prefer living here. Even many embassies are transferring here. Oppo R17 rocks! The photos have come out really clear, bright and in-depth. Loved the angles and the colors. 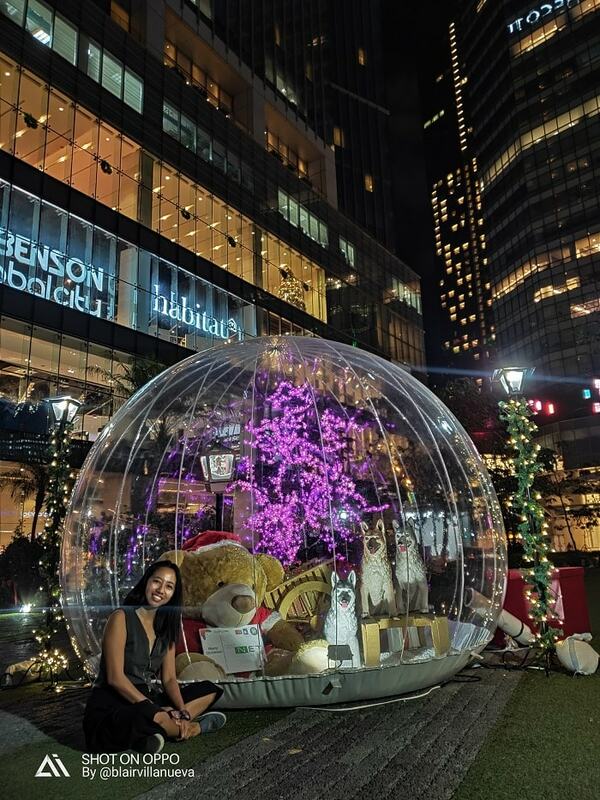 You have had a great time in BGC. Thanks for sharing these epic pictures. Thank you Shreya! Now I want to try the other phone brands and see the difference.